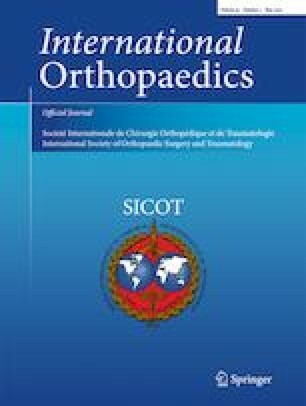 The studies of the relationship between anterior cruciate ligament (ACL) injury and notch size were in 2-D parameters in Han Chinese, the largest nation in the world, while few studies referred to the 3-D notch volume. The purpose of this study was to determine the differences in notch volume between individuals with and without ACL injuries and the optimal criterion value for abnormal notch volume and its sensitivity in predicting the risk of ACL injuries. Two hundred eighty individuals were included in this study, including 140 patients with non-contact sports ACL injuries only and 140 age- and gender-matched individuals without ACL injuries. Both groups underwent pre-operative knee MRI examinations and femoral notches were traced manually on 2-D MRI images, then 3-D notch volume was calculated. The notch volume was extremely smaller in the ACL-injured group than that in the control group (5.94 ± 1.35 versus 6.86 ± 1.61 cm3, P < 0.001). The notch volume below 6.99 cm3 in males and 5.63 cm3 in females meant being prone to ACL injuries. Females tend to have smaller notch volume than males (5.53 ± 0.93 versus 7.28 ± 1.55 cm3, P < 0.001). The notch volume was in moderate correlation with the body height and weight and in weak correlation with the BMI but in no correlation with the age. In Chinese Han adults, the notch volume was significantly smaller in the ACL-injured individuals than in the ACL-intact ones, it was smaller in females than the males and it was correlated with the body height, weight and the BMI. Level of evidence Level III, case-control study. Chengyuan Zhang and Guoming Xie contributed equally to this work and should be considered co-first authors. The online version of this article ( https://doi.org/10.1007/s00264-018-4068-7) contains supplementary material, which is available to authorized users. The authors would like to thank Dr. Wei Xiao’er from Radiology Department, Shanghai Jiao Tong University Affiliated Sixth People’s Hospital, Shanghai, China for technical guidance. The authors would like to thank Ms. Yujun Xu for statistical guidance. This study received funding from the National Natural Science Foundation of China (81301547) and National Natural Science Foundation of China (31370945). This study was approved by Ethics Committee of Shanghai Sixth People’s Hospital (Approval No. 2016-111).